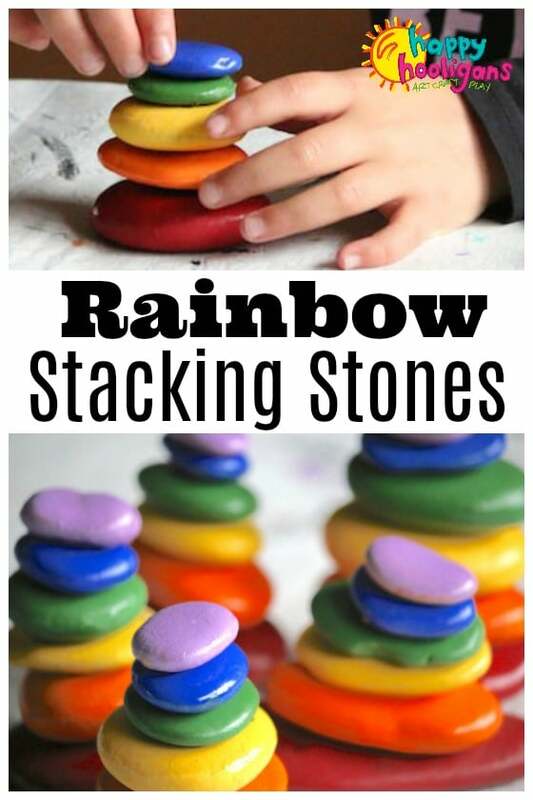 Toddlers and preschoolers will love playing with these homemade rainbow stacking stones. They’ll learn about colour order and size order, as they try to balance their stones on top of each other to build a perfect tower. Recently the older kids in my daycare painted a bunch of beach stones in all the colours of the rainbow to make a fun stacking activity for the toddlers and preschoolers. I was so tickled with how the project turned out. We love to craft with rocks, and I’d had it in my mind for quite some time to turn some of our beach rocks into a stacking activity for the little ones. They love sifting through the collection of beach stones I keep on the deck, sorting and stacking them. 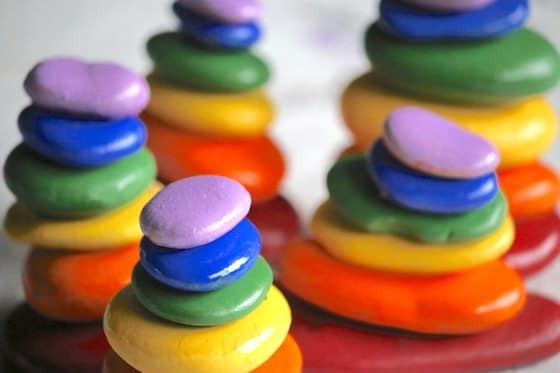 I thought it would be fun to make a set of coloured stones that they would have to stack in just the right order to make a rainbow-coloured tower. 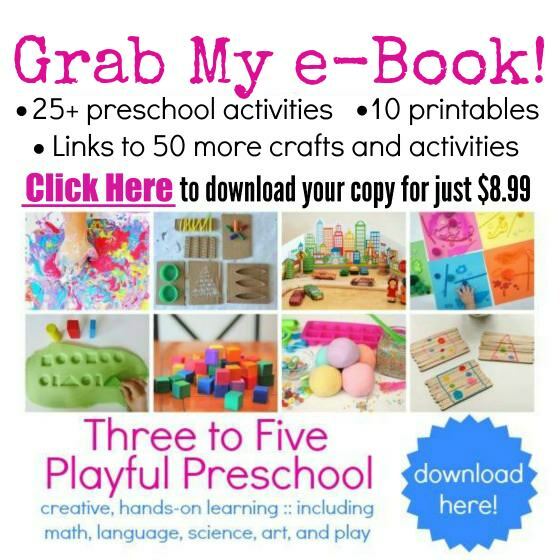 Remember those Fisher Price stacking rings (Amazon affiliate link) we had when we were kids? That’s what these stones remind me of. This activity was super-easy to make and didn’t cost us a thing. The big kids had fun painting the stones, and the little ones will learn about colour order and size order when they’re stacking them up. They’ll also require concentration and co-ordination to build their tower without knocking it over. 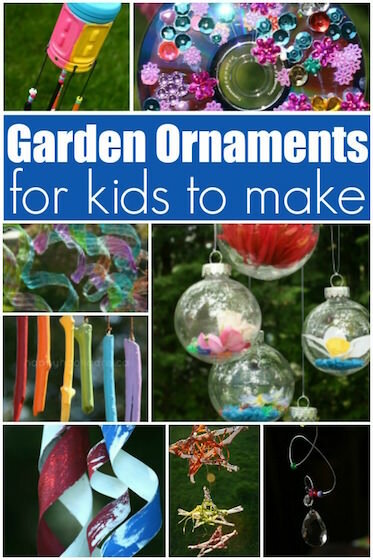 It’s a fun little activity for any playroom or classroom. Pop over to CBC Parents to see how we made our cheerful stacking stones so you can make a set for your little ones!